I think I need to show this one to the kiddo. He is all about the silly. Plus he needs something to fill the void while he waits for the next Captain Underpants book. Thanks Lisa! I read these all the time around the 2nd/3rd grade. I think I inhaled the entire series, and I'd almost forgotten all about them. I remember my dad would sometimes read these with me, or we'd get the audiobooks and listen together, which was quite an accomplishment since my dad is not a reader. That's a really fun memory - especially if your dad wasn't a reader! 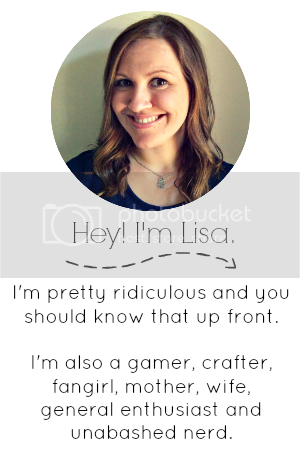 This sounds adorable! I've never read this series, but I bet if I'd seen it, I totally would have. I love that it's got a dog as the main character! It definitely gave me some flashbacks to 4th grade! OMG Lisa, I'm SO EXCITED that you decided to talk about the sheer awesomeness that is Hank the Cowdog. I totally ate these up in elementary school too, my aunt even has a dog named Hank because of these books. Glad they're still fun as an adult! YAY! Hank the Cowdog for LIFE. Oh my goodness, this is taking me back! I remember the author visiting my elementary school with Louis Sachar and thinking it was the single greatest day of my life. Now I know it was just the beginning of hundreds of "greatest day ever"s (usually brought about by an author encounter :D). A visit from John R Erickson AND Louis Sachar would be pretty dang amazing - even now! Oh my god. 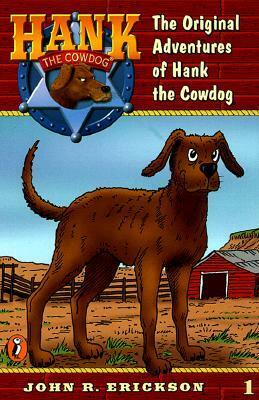 I need to buy Hank the Cowdog because I am into this sort of thing, being 12 years old on the inside. Aaaaand this is reason #289 why we are friends. A couple of weeks ago our local librarian recommended the audio book version of Hank the Cowdog #12: The Case of the Fiddle-Playing Fox to us for a long roadtrip we had with our kindergarten-aged son. We loved it! I was disappointed I hadn't heard about these when I was a kid, but will definitely be playing catch-up now.